We’re out until January 5, but we’re re-posting some of our favorite pieces from 2014 while we’re away. We hope you enjoy—and have a happy New Year! A few years ago I found a used, first-edition hardcover of Dr. Cuthbert Ormond Simpkins’s 1975 book, Coltrane: A Biography, online for $150. I had long admired its feverish, street-pulpy story about the saxophonist John Coltrane, whose powerful music increasingly seemed capable of altering one’s consciousness before he died in 1967, at age forty. Posthumously, the mythology and exaltation of Coltrane, as well as his musical influence, only grew. 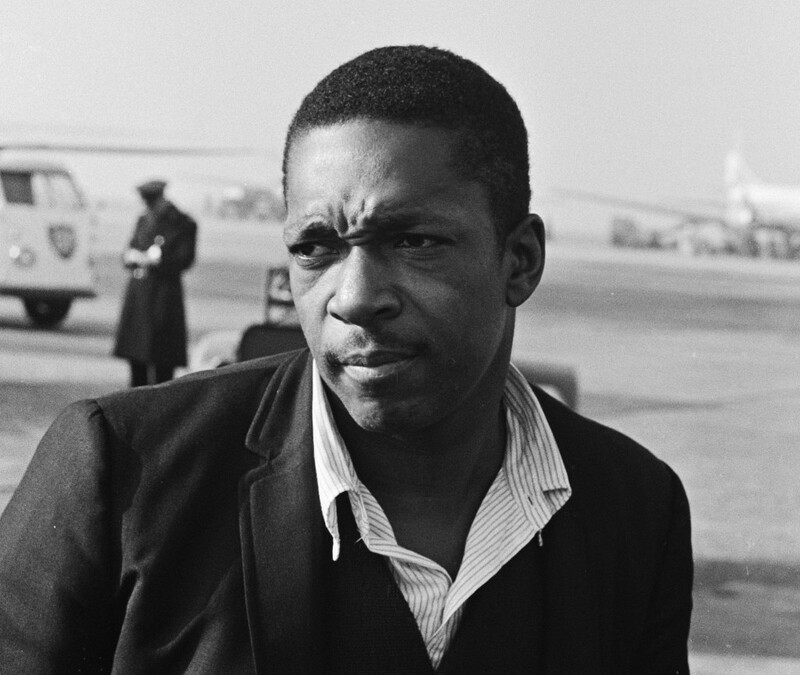 But by that point, Simpkins had already researched and written Coltrane’s story, expressing an uncompromising, unapologetic black voice rarely found in the annals of jazz before or since. I forked up the money for the hardback. The dust jacket bears an impressionistic black-and-white painting of Coltrane playing soprano saxophone. The rounded, sans serif font resembles that of Soul Train, the popular TV show that premiered in 1971. On the back cover is a photograph of a young, Simpkins sporting a West African dashiki shirt, a high Afro, thick sideburns, and a beard.